With the help of Reliance Jio 4G SIM offer you can get free access of 4G internet, using VoLTE voice calling, video calling feature and also send free sms for 90 days. If have Reliance Jio sim and using on 4G mobile phone without VoLTE support then you are not able to start voice call. Now, we have to discuss how to make voice calls with Reliance Jio from non-VoLTE 4G phone. If you don’t have VoLTE support on your phone and try to dial any number then you will get a call end message on your phone screen. But, if you have 4G Smartphone which have VoLTE support then after inserting Reliance Jio sim you will get VoLTE text or HD text. VoLTE Smartphone allows you to directly use the default phone dialer to start voice call from Reliance Jio sim. You have a solution to overcome this problem you have to download and install Reliance Jio4GVoice app from Google Play Store. After installing this app you can easily make voice calls from non VoLTE Smartphone with the help of Reliance Jio sim. Reliance Jio4GVoice app has it own separate dialer. With the help of Reliance Jio4GVoice separate dialer you can easily make voice call with Reliance Jio from a non-VoLTE 4G Smartphone. With the help of Jio4GVoice app you not only call app to app but also call on any landline or mobile number, send or receive sms from any mobile number. But if your phone does not have VoLTE support then you will not be able to start voice call from your phone. VoLTE feature not found in different popular and expensive 4G smartphone. Most of the mobile manufacturing companies does not send updates for all these 4G mobile users. Due to that lot of 4G Smartphone users are frustrated due to not make voice calls with Reliance Jio from non-VoLTE 4G phone. Now with the help of Jio4GVoice app you can easily fix this problem and take benefit of full HD voice calls. 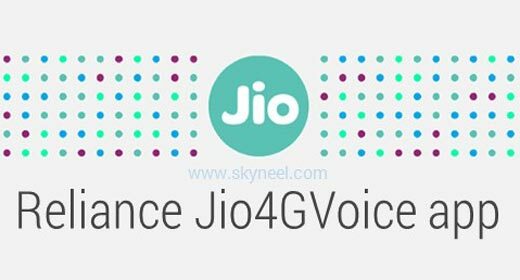 Jio4GVoice app need to use Jio4G internet connection for Non-VoLTE smartphone while VolTE 4G Smartphone works at online and offline mode and save you phone battery also. We hope after using this article all those users who does not have 4G non-VoLTE feature in his smartphone now easily make voice calls with Reliance Jio from non-VoLTE 4G phone.